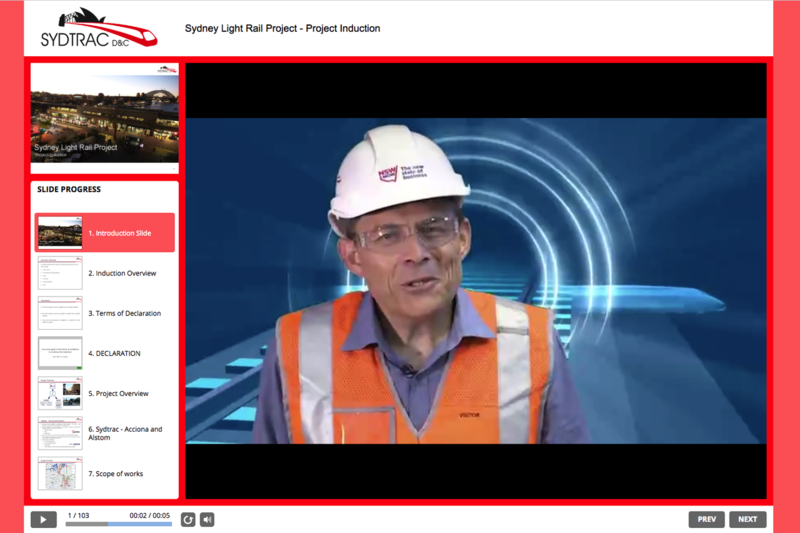 A series of interactive staff training videos produced by Anvil Media are helping streamline and improve Project Inductions for the Sydney Light Rail project. Joint venture partner, ACCIONA Australia is working with the NSW Government to build a light rail line from Circular Quay to Sydney’s south-eastern suburbs. The Acciona Group is a leading Spanish corporation that employs around 33,000 people in five continents and delivers more than 300,000 hours of staff training each year. 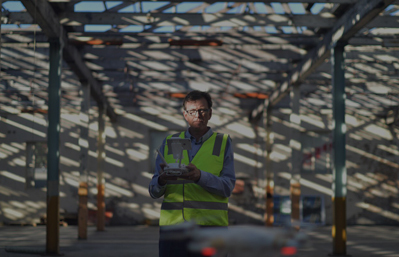 This was the first time Acciona had implemented online induction training in an Australian project. Acciona’s Project Training Coordinator, Sonia Bellon Rico, said that implementing an online video training system was a positive solution for such a large construction project. The online induction is supplemented with a face-to-face induction. A senior management representative outlines company information and reinforces the strong safety focus and management commitment on the project. Trainers then complete the project induction process with task hazard analysis training and confirmatory assessment. “But new starters can do the online induction whenever they want, and at the moment we have around 80 people completing this induction each week,” said Sonia. The project induction system integrates a familiar slide deck of presentation notes with lots of very short videos, a professional video presenter and interactive quizzes to test knowledge retention. The whole induction takes around 90 minutes to complete. Feedback from participants has been that it was a different way to complete induction, and they enjoyed being able to complete it at their own pace and not having to complete the whole course in one go. The video production process started with Sonia sending Anvil Media her presentation slides. From there Anvil Media producer, Michael Neil-Smith, developed the script for the presenter and developed each of the small videos that accompany many of the slides. While it was challenging to complete such a complex training video, our client is pleased with the outcome. “I am quite happy with the final product and we have learned a lot about the process should we need to implement this in other large projects,” said Sonia. 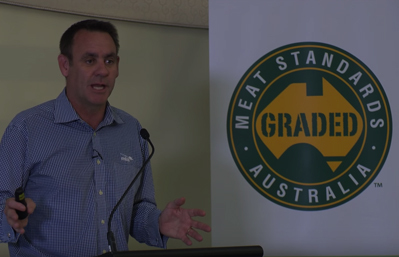 If you want to incorporate induction videos into your training program, contact us on 1300 768 101 or info@anvilmedia.com.au to discuss your ideas … or complete an enquiry form now.